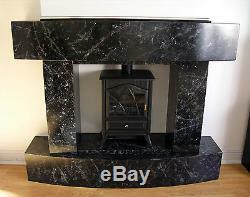 Modern Black Marble Effect Bow Front Fireplace / Fire Surround. Please note this listing is for the surround only as it appears in the photos with the brick background. 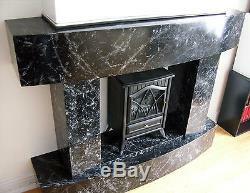 The artificial chimney breast and fire are for demonstration purposes only. Made to order in our workshop. 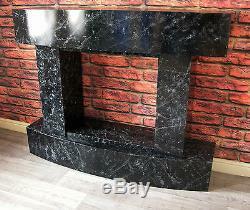 The external dimensions are Width 5ft x Height 4ft x Depth 15inches. The internal dimensions are Width 28inches x Height 25inches x Depth 12inches. 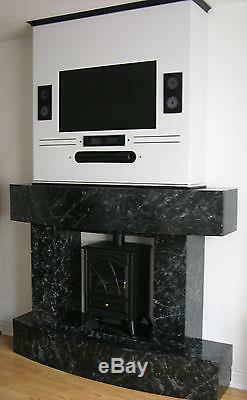 The hearth and mantle are 10 inches thick. They are made using 18mm MDF and are very solid. They are mostly hollow so they can be easily fitted and thread cables through. 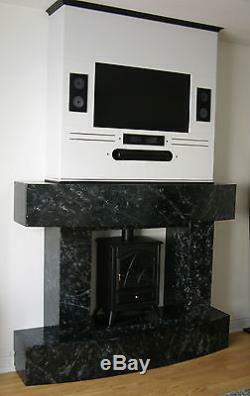 The surrounds fit well in both traditional and contemporary interiors and they are finished in a very high quality and durable marble effect glaze. 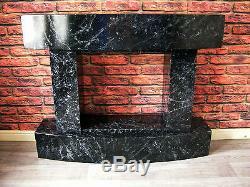 Black marble effect supplied as standard. Other colours available on request. 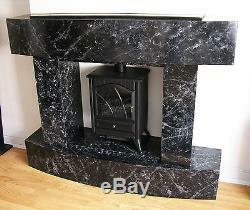 Suitable for use with all electric and some gas fires. 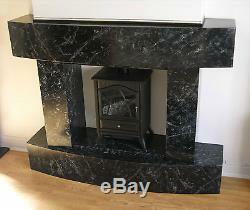 We wouldn't recommend for use with a real fire as hot embers etc could damage the marble effect finish on the hearth, however all materials used are fire safe. Please note there are no fixings supplied with the surround as the type of fixings needed will vary depending on the type of wall it will be fitted to. And we will respond as soon as possible. 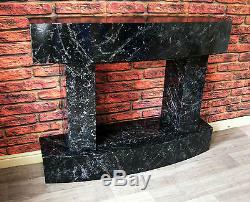 The item "Modern Black Marble Effect Bow Front Fireplace / Fire Surround" is in sale since Monday, May 2, 2016. 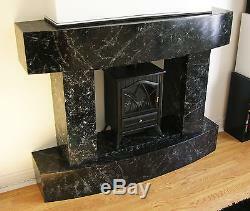 This item is in the category "Home, Furniture & DIY\Fireplaces & Accessories\Mantelpieces & Surrounds". The seller is "vix89joe90" and is located in Sutton in Ashfield.